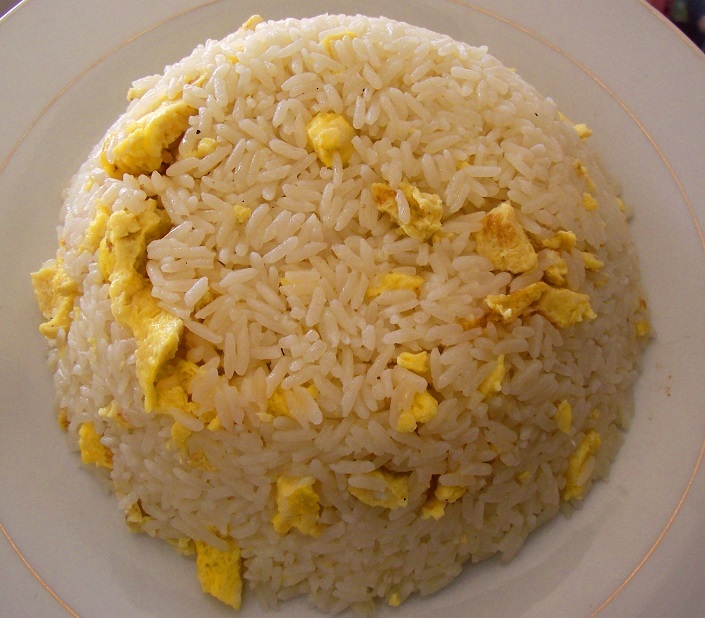 A typical dish Dominicans like to eat due to being economical, easy and quick is fried egg and rice. This is kind of my take on it, by basically doing it together as a scrambled egg rice. 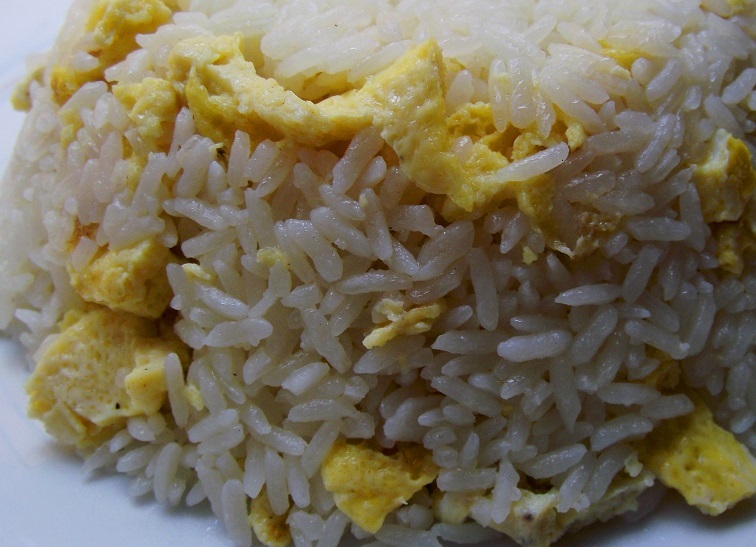 This is extremely simple as the egg is added in the end, when the rice is ready to serve. It’s also great with fried rice or chow-fan. 3. 2 tbsps. vegetable oil. *You may adjust proportions to your needs. Heat oil, add some some salt, then rice, then water. Stir around until rice dries off, then cover and lower the fire to the minimum. Allow to cook for 15-20 minutes. Scramble the eggs with pepper and butter. Save. After 15-20 minutes (when the rice is cooked) uncover, add the scrambled eggs, mix and serve. This entry was posted in From the culinary lab, Traditional Dominican Food, Vegetarian, Vegetarian - Lactoovovegetarian, Vegetarian - Lactovegetarian and tagged breakfast, dominican egg rice, dominican food, dominican recipes, dominican scrambled egg rice, egg and rice, egg rice, food, fried egg, scrambled egg, scrambled egg rice, typical dish, vegetarian. Bookmark the permalink. 2 Responses to Scrambled egg rice! What a great recipe! Add a few vegetables and this would be a meal itself! Reminds me of my grandmother’s fried rice recipe, which is very similar but calls for peas.